I enjoy Thanksgiving because it provides a time for me to reflect upon the blessings that I have received. 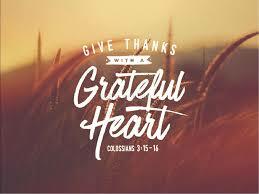 There are so many things that I am thankful for because I am richly blessed, but I want to take note of a few. As many of you know, the last half of 2018 has been challenging for me personally as I was diagnosed with prostate cancer--but, I am thankful that everything is working out and that my treatments are progressing and are nearly complete. I am also thankful for the support of my family and friends and coworkers who have shown great compassion towards me as I have been being diagnosed and then my daily treatments. I am thankful that Mom and Dad dropped in for a short visit and there is the promise of a return visit when they escape the warmth of Houston (why would anyone go north during the winter?). I am thankful for my family. All of them. My wife, my children, their spouses (or engaged), my grandchildren, my Mom and Dad, sisters and brother and their families. We are dysfunctional at times, but we are still a family. I am thankful for the fun cruise this summer. I have met a lot of people this year and many of them have enriched my life just by knowing them and talking to them. I chatted with a man yesterday while we were both waiting for treatment. He was three days into his second round of treatment and he related that he is an Agent Orange victim and that he will likely be treated for the rest of his life. Yet, his attitude was positive and he was just happy the be alive and able to be treated. I am thankful that I live in the greatest country in the world. Yes, we have our warts, but we are still the best place to live. 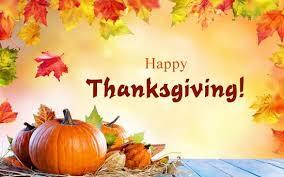 I am thankful for the readers of my blog and I hope each of them has a blessed holiday season.